So excited to share the first post of our recent trip to Scandinavia. 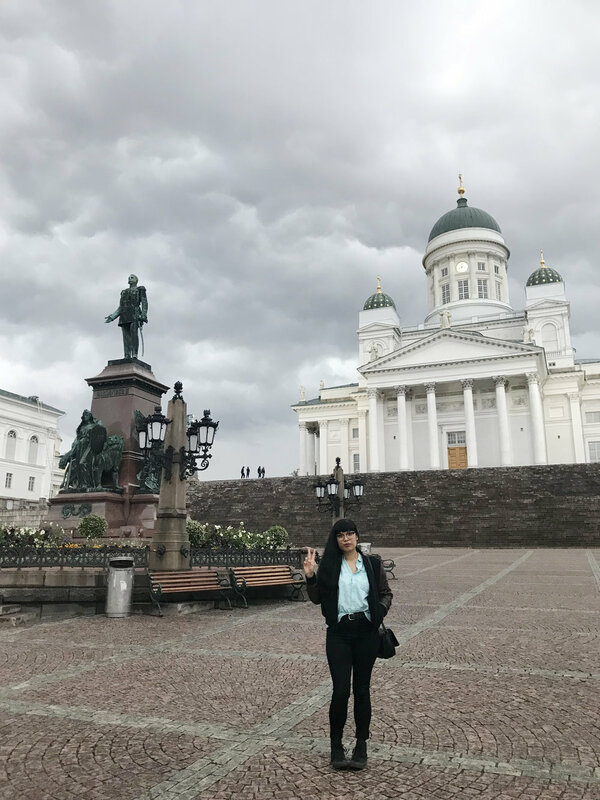 The first city we visited was Helsinki in Finland. We added this city because I didn’t think we would ever have the opportunity again. Originally we were going to go to Oslo, but I felt that Norway probably deserved its own trip and not just a stop. 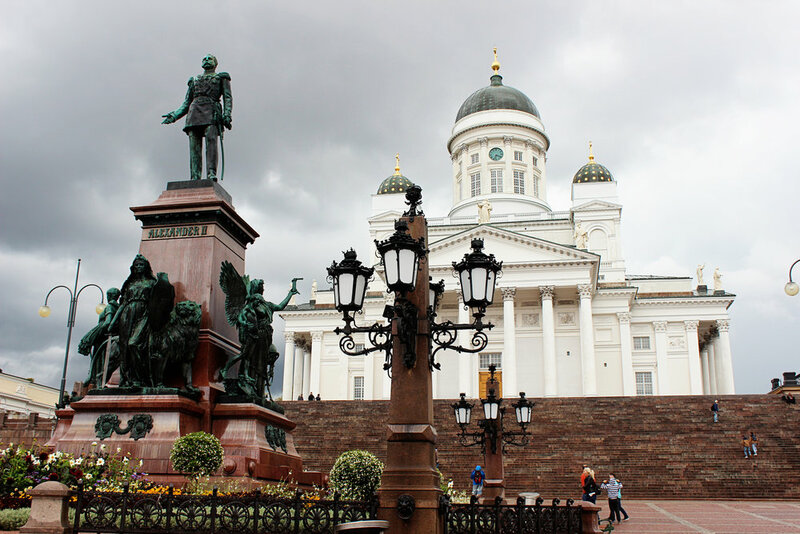 We spent three quick days in Helsinki, but I think that was just the right amount of time. Anymore than that and it might have been too much. 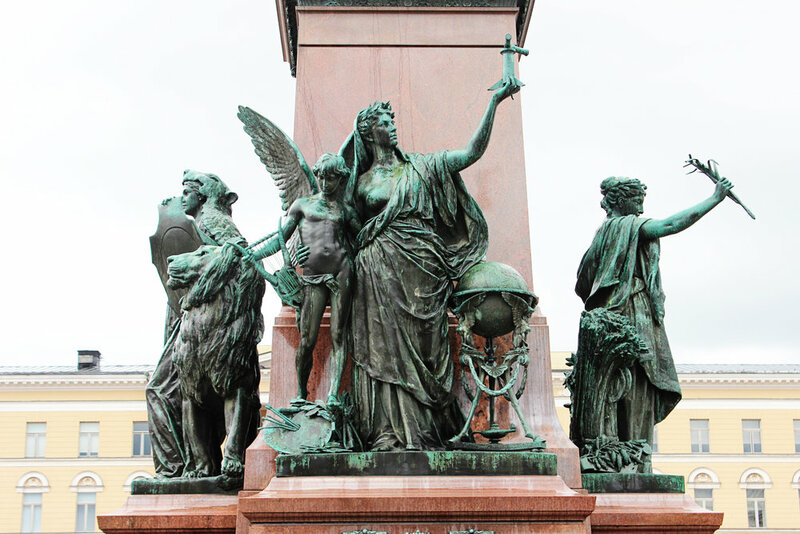 One of the must see areas is Senate Square. The square and it’s surrounding areas is one of the the oldest areas in Helsinki. 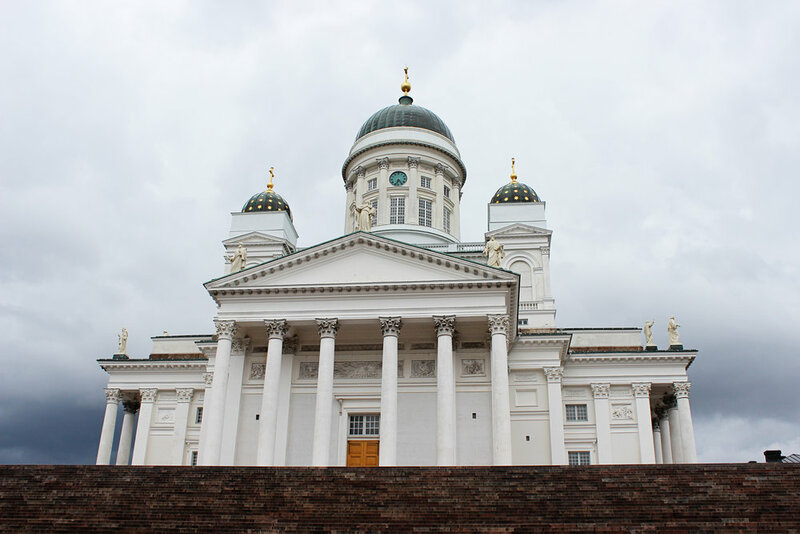 The most recognizable buildings in the square are the Government Palace, the Helsinki Cathedral and Sederholm House, which is the oldest and dates back to 1757. We didn’t spend much time at Senate Square because we had a dinner reservation and the weather was awful. The little bit we did get to see was beautiful and I could see why it’s one of the more popular tourist attractions.